Are you tired or less than refreshed when you wake up? Do you find that you are pushing yourself to continue functioning? There aren’t enough stimulants, cups of coffee or energy shots to get you through the day because your adrenal glands are taking a hit. You are dealing with chronic stress. Stress is toxic to the body, leading to elevated cortisol. Cortisol is the hormone produced for “fight or flight” response where the body is gearing up for short term danger. Cortisol is not supposed to be elevated all day, every day, like it is in so many stressed-out people. You may first notice the increase in body fat, especially belly fat. If the chronic stress is not addressed you may progress to adrenal fatigue. Working long hours, short-changing sleep, spinning too many plates and even over-exercising will catch up to you. Over 80% of people cite ‘lack of energy’ as the most common problem for seeing a physician. We are a nation of stress-out people! Stress comes from the obvious sources like a crazy job, excessive travel or horrendous traffic, but the body can also perceive stress from food and environmental toxins, nutrient deficiencies, and lack of appropriate sleep as well. Get help addressing factors causing stress. In the meantime here are a few things that might help! 1. For the short term I recommend GABA to help quiet your brain. It is an amino acid and an inhibitory neurotransmitter (balances out the excited brain). Take on empty stomach for best results. Start with 1 capsule (500mg) You may take 1-2 capsules, 1-2 times a day if needed. You can also take in the middle of a particularly stressful day at work. For faster results, open the capsule and take the contents under your tongue. 2. Boost your DHEA and Pregnenolone levels with a bioidentical cream or supplement. DHEA is useful for everyone over age 30 since your levels begin to drop at that age. With prolonged stress, the body increases the production of cortisol and decreases DHEA. As a result the immune system is compromised, blood sugar increases, fat storage increases, salt and water retention increase, the thyroid may slow, and depression may set in. Adding DHEA and Pregnenolone allows the adrenal glads to rest while you work on managing your stress levels and healing. (Get your hormone levels tested with this at-home saliva test kit). Here are my top recommendations for supporting DHEA levels. 3. Omega 3’s. Like Cod Liver Oil, 1 Tbs of Carlson’s or OmegaGize. A stressed out brain is quieted with omega-3 fats. Most people do not consume adequate amounts of cold water fish, like salmon, to keep adequate levels of this critical nutrient. One would need to consume 1-2 pounds of salmon per day to consume enough of the Omega-3 fats, which is not likely. Supplementation is easy, but only choose quality fish oil or cod liver oil. 4. Super B, B Complex. B vitamins improve mood and help the body manage stress. 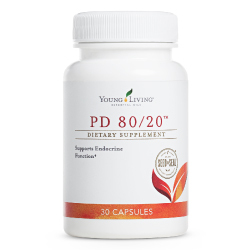 In a 90 day study, participants taking B Vitamins reported a reduction in work-related strain as well as a reduction in confusion and depression compared to the control group. 5. Herbs like Ashwagandha (found in EndoGize) and Rhodiola. These herbs are called adaptogens. They help the body adapt to stress. Gaia Herbs makes a product called Adrenal Health that is effective and high quality. 6. Minerals. Magnesium is very calming and can help bring restful sleep. I recommend beginning with 400mg of magnesium glycinate or MegaCal at bedtime. 7. Progesterone for women. The stressed woman is typically experiencing low progesterone levels. Like DHEA, chronic stress will reduce levels of progesterone. This happens because the body is “stealing progesterone” by using pregnenolone to make stress hormones instead of making progesterone. A safe way to increase progesterone is with Progessence™ Plus serum. This is a pure, harmonizing serum that is designed specifically for women. Along with wild yam and vitamin E, Progessence Plus is formulated with Frankincense, Bergamot, and Peppermint essential oils for optimal results. It is very effective at low doses, and many women only need to use 2-4 drops applied over the neck area each evening. 8. Essential Oils. I recommend Lavender for relaxing, promoting restful sleep. Young Living’s Stress Away™ essential oil blend is fantastic for everyday stress. It is a natural solution created to combat normal stresses that creep into everyday life. Stress Away is the first product to contain the unique stress-relieving combination of lime and vanilla pure, therapeutic-grade essential oils. Stress Away also includes copaiba and lavender to reduce mental rigidity and restore equilibrium. Featuring powerful plant constituents, such as the cedrol found in cedarwood and the eugenol that occurs naturally in vanilla, Stress Away can help induce relaxation and reduce occasional nervous tension. Other beneficial essential oils include Nutmeg and En-R-Gee. 9. Super C Chewable. Vitamin C helps the body adapt. Every person’s needs are different and you may require high supplementation with buffered vitamin C (buffered with minerals like magnesium). Look for a corn-free product that uses L-ascorbate for enhanced absorption and quick action. Chewable. 10. Nutrition. This is listed last, but it is actually the most important step. Nourish your body to heal your body. Eat three meals a day and do not skip meals while healing from stress-related illness and cortisol imbalances. Each meal must contain quality animal protein, quality fats (grass-fed butter, coconut oil, extra virgin olive oil, ghee), vegetables and some fruit, seeds and nuts. *This information is for educational purposes only. Any statement regarding essential oils or supplements is a statement of nutritional support. This information has not been evaluated by the Food & Drug Administration. This information and products mentioned are not intended to diagnose, treat, cure or prevent any diseases.